At TriMet we’re making changes to make your ride easier – among them the soon-to-be-released mobile ticketing app, the new ticket printers on buses and swapping out the oldest ticket vending machines on the MAX system with new ones. About a month ago we finished replacing our oldest ticket machines – what we referred to as our type 3s – with new, type 6 machines. 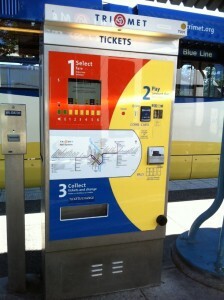 Now 117 – or more than 50 percent – of the 213 ticket machines along the MAX and WES systems are new. These old type 3 ticket machines are headed for the recycling bin. Most of the part inside were salvaged and sent back to the supplier. The metal cases you see here will be turned into scrap. Thanks to the culmination of the new machines, software upgrades and fixes, and creating dedicated work groups to identify issues and speed up improvements, complaints about ticket machine transactions dropped 50 percent in June from the previous 12-month average. That’s the lowest level of complaints in at least the past six years. Along those lines, TriMet maintenance crews are replacing the oldest validators on the MAX system. These are the devices attached to or near the ticket machines that you slip your ticket into and the time and date are then stamped on to it. There are 212 validators on our MAX and WES platforms. We just replaced the 20 oldest validators – some up to 15 years old – with new ones. We will replace 20 more validators in the fall. Like with the ticket machines, we’re also seeing complaints about the validators drop as the equipment is updated. The validator system will also be changed to allow us to do real-time monitoring remotely. In the past, old software impacted the operation of the ticket machine so we relied on TriMet customer service, supervisors, maintenance and other agency staff to physically check the validators during their routine daily business rather than using the remote, real-time monitoring. Customers also let us know when they experience validators that didn’t work. 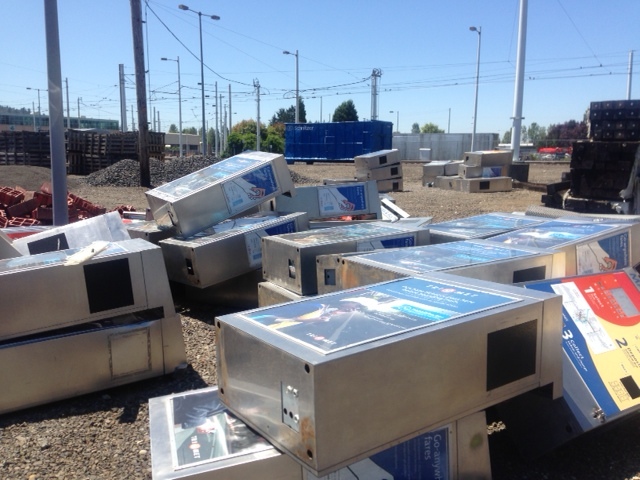 While the new ticket vending machines are straight from the factory, TriMet installs a device inside the machines that handles the paper currency. These are called bill acceptors. All the bill acceptors installed in the new ticket machines have been rebuilt and upgraded to allow them to recognize the new colored bills and lessen issues with rejecting bills. Soon crews will rebuild and replace the bill acceptors on our other ticket machines that accept cash, a process that will likely take six to nine months. Unfortunately wet, wrinkled or damaged bills can jam the bill acceptors. And, like any other machines, bill acceptors have many moving parts. Those parts will wear and malfunctions will happen, but we are working with our vendor to make any improvements possible and prevent issues that lead to downtime. This included incorporating anti-vandalism features on the machines. Next month, we will launch the free TriMet Tickets mobile app that will let you conveniently and easily buy and use fares on your smartphone. That takes us a big step toward a state-of-the-art electronic fare system that we hope to begin implementing in 2015. In addition to e-fares, mobile tickets and online card purchases, cash purchases through our ticket machines, fare boxes on buses and retail outlets will continue.